Dino mode is Pteragodon and combines with Kyouryuujin to form Raiden Kyouryuujin. 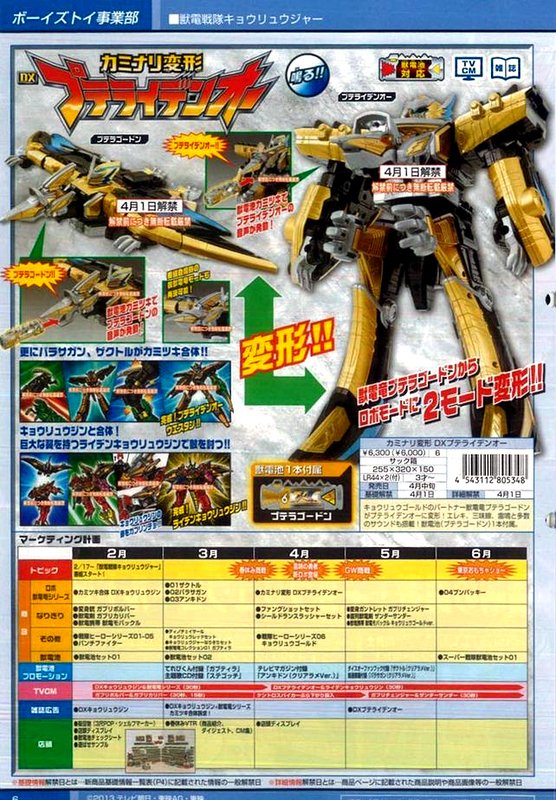 Also combines with Zactor and Parasagan to form PteraidenOh Western. 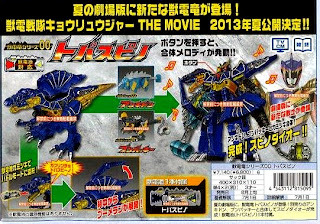 Dino mode is Pleson and when combined with Bunpakki forms PlesOh Bunpakki. 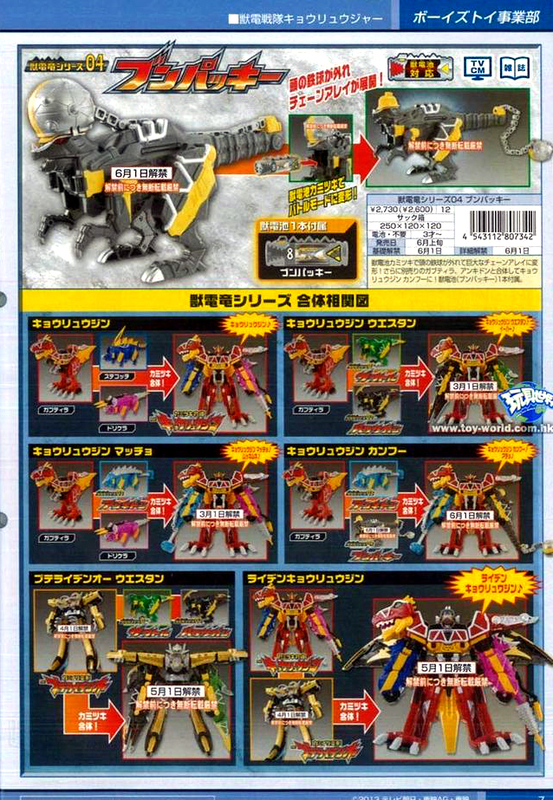 Also combines with both Bunpakki and Gabutyra to form Bakuretsu (Exploding) Kyouryuujin. 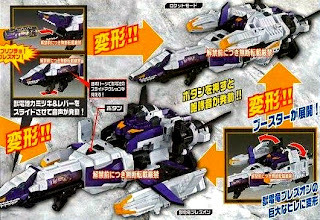 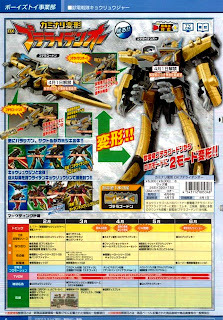 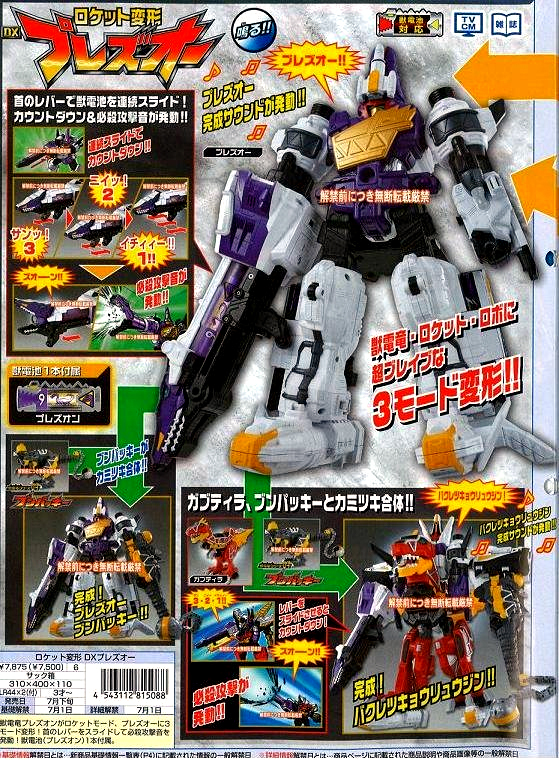 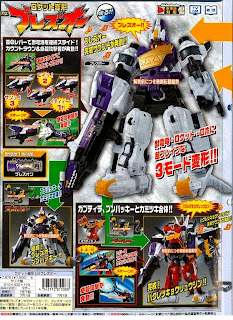 Combines with Ankidon and Bunpakki to form SpinodaiOh. 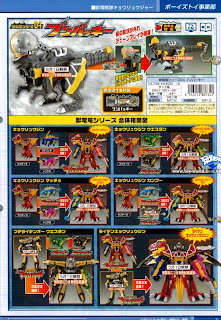 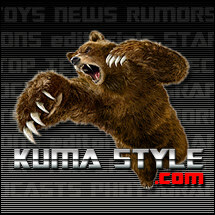 Get Kyouryuuger merchandise at Big Bad Toy Store!